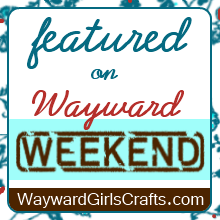 Thrifty Crafty Girl: 31 Days of Halloween - Fun With FUNKINS And A Giveaway! 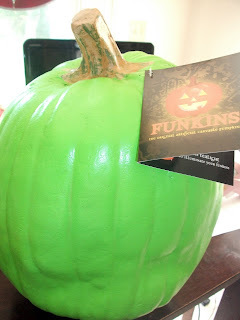 31 Days of Halloween - Fun With FUNKINS And A Giveaway! What would Halloween be for a crafter without an awesome pumpkin craft? 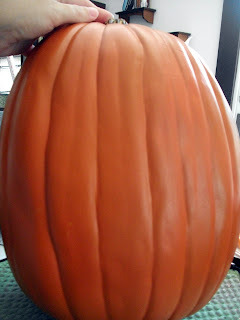 But the problem I've run into every year is that the pumpkins that I put so much time into making beautiful become landfill on November 1st. But this is about to be a thing of the past... behold, the FUNKIN. 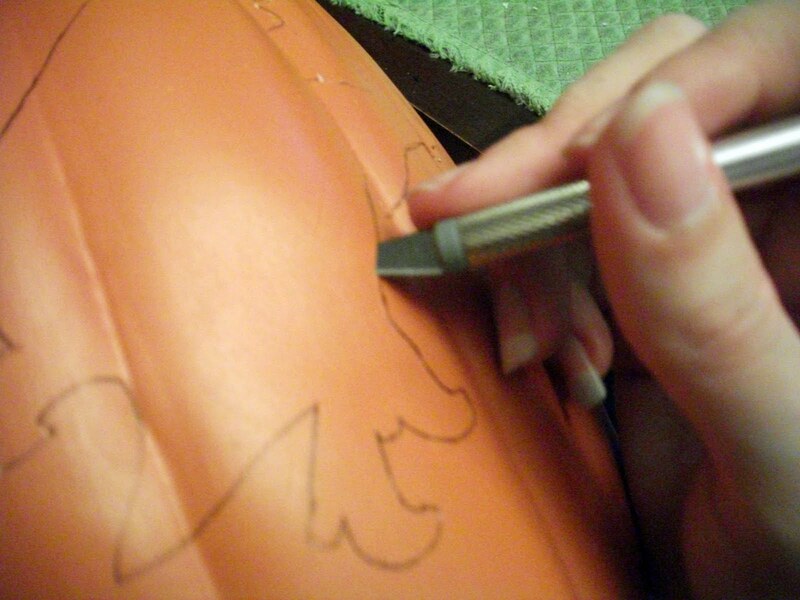 It's a pumpkin that you can carve like a real pumpkin, but you can keep it forevers. Yes, forevers. It is made of a material that I can neither pronounce nor understand... but it's amazing. 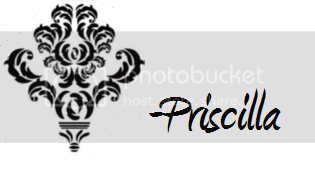 Visit the website here for a full picture of the awesomeness. Today's Halloween craft uses a FUNKIN, but there's more... there's oh-so-much more. 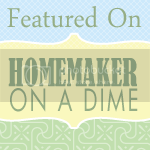 FUNKINS has provided me with an awesome FUNKIN to give to a reader! This thing is awesome. And it's bigger than I expected it to be. And do you know what's better than one FUNKIN giveaway? Two FUNKINS. 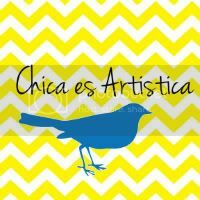 That's right... 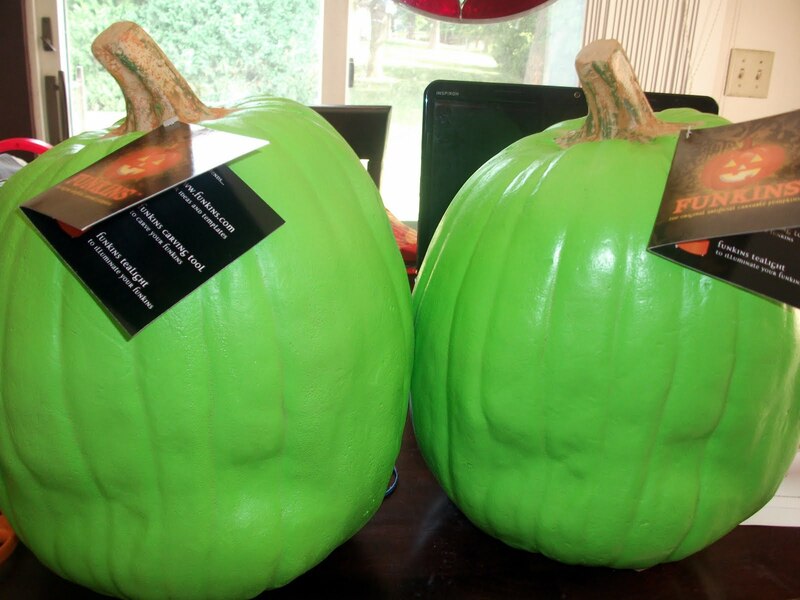 I have two FUNKINS to giveaway. To you. For free. I wish I could enter my own giveaway. 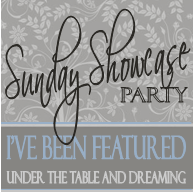 Be a follower and leave a comment telling me. If you really want to make me happy, tell me what you'll do with your FUNKIN. You have to be a US Resident to enter and win. I will draw two winners at random on Sunday, October 9th (only a few days to enter, but I want you to get your FUNKIN in time for Halloween). Good luck! Look at it, in all it's FUNKIN glory. Beautiful. Martha's minions suggest setting your elbow on the table and holding your pencil steady at the top of the FUNKIN where you're going to cut, spinning the FUNKIN and keeping your arm still. 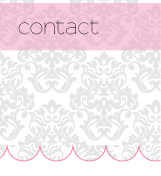 This makes a perfect scalloped line. Those minions are geniuses because it worked like a charm. You'll cut the top and the bottom the same way, so trace a line for the bottom too. Where do you make the lines? 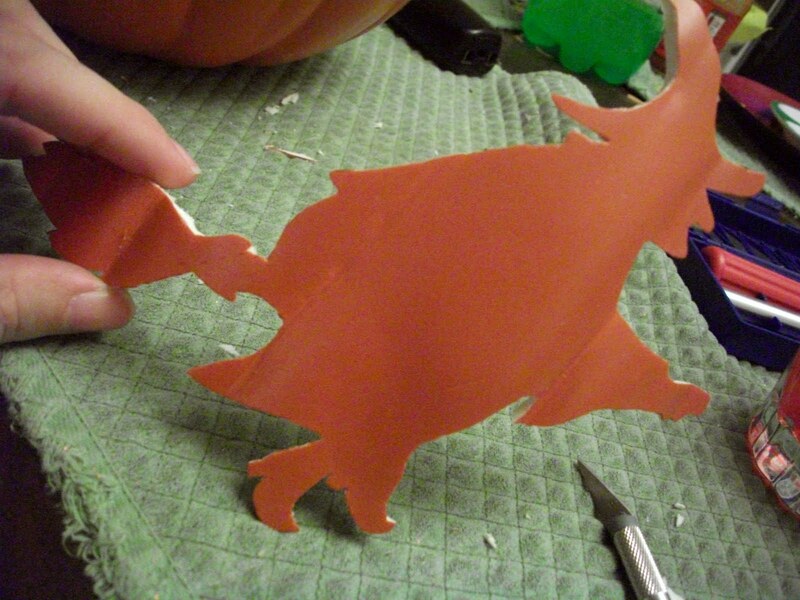 The middle is used to carve out some witches, so when you print out your witch template, use that as a guide for where you should cut the top and the bottom. 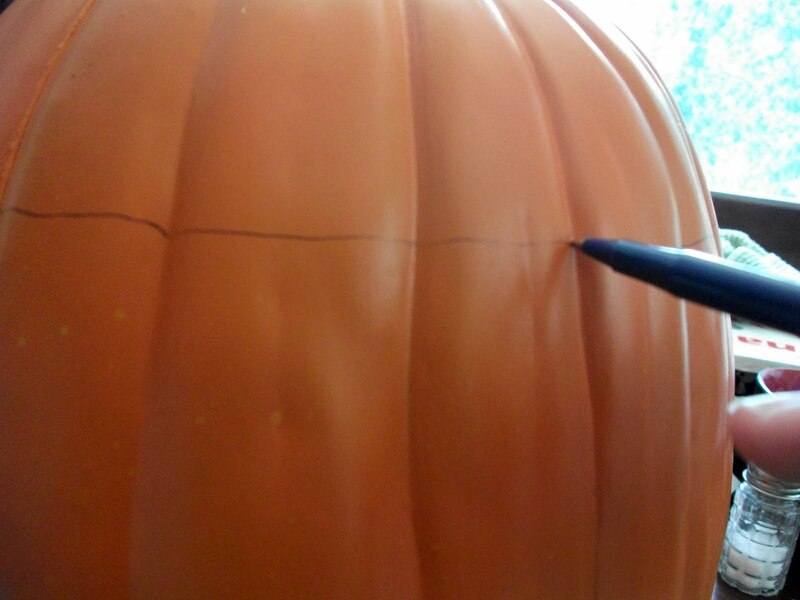 Use a craft knife or exacto knife to cut the FUNKIN on the lines. Don't be too concerned if your pencil marks are showing, the glitter will cover most of your marks... oh yes, there is glitter. Take your middle and trace out the witches from the template. 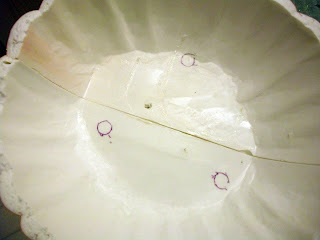 You will only need three for the carousel but I traced out four just in case one witch met with an untimely accident. It happens. I'm aware these pictures are lousy. I didn't have an awesome camera at the time. I know you'll forgive me. Cut out the witches with your craft knife. Look how long my nails are. Ridiculous. Someone, please email my husband and tell him to get his over-worked wife a mani-pedi gift certificate. Once your pieces are cut out, the hard part is over. Really. Take a sigh of relief for yourself, I'll wait. 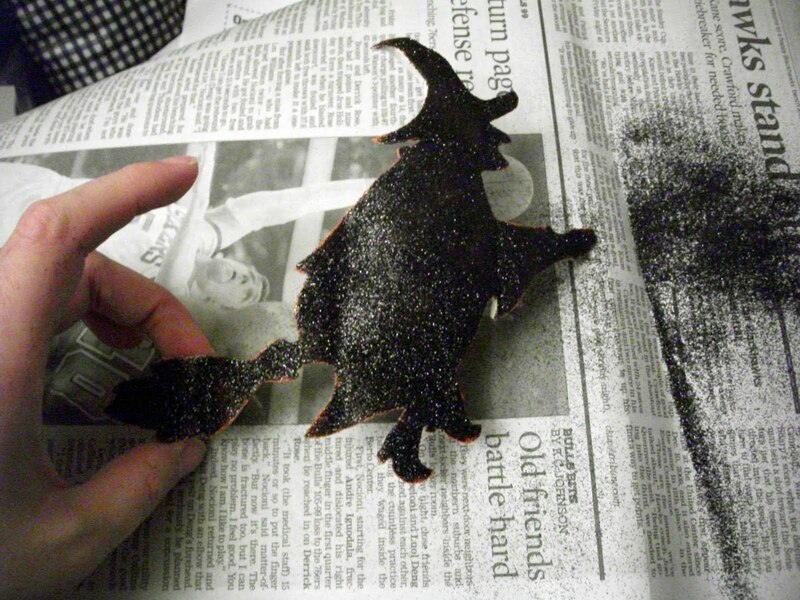 When you're done, grab some glue, black glitter, and orange glitter, and a paintbrush for good measure. 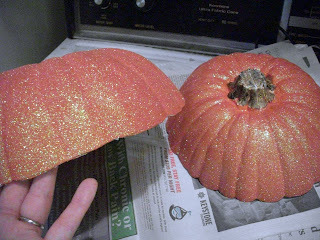 Paint glue on the top and bottom of the FUNKIN and enlist a little hand to sprinkle orange glitter on them. I used a glitter color called 'Pumpkin', how perfect is that? Look how cute they are! 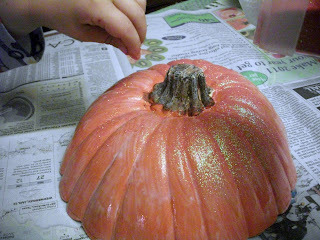 Paint them with glue and sprinkle a healthy helping of black glitter on top. I covered mine pretty well, but if you want to leave a little orange showing through, I'm sure it would look great, too. They look even more adorable. Wait until these dry. That was a lot of work. Get yourself a cookie or something too, you need a break. Check the television listings, maybe 'The Great Pumpkin' is on to help you unwind. After your FUNKIN hiatus, grab 3 12" wood dowels and spray paint them black. 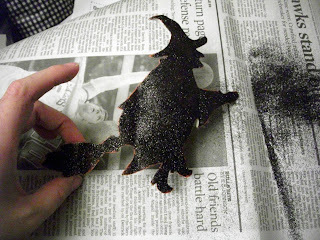 After they're dry, you'll glue them to the back of the witches. I tried to make them equidistant. I think I succeeded. Once you've carved out holes, hot glue the dowels into the bottom FUNKIN. 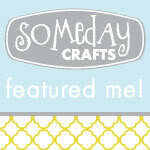 You'll repeat this for the top too, which is a bit trickier, but always possible for awesome crafters like us. 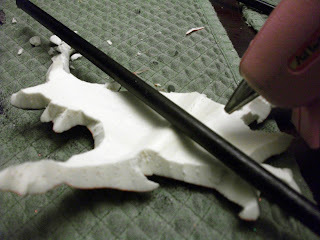 Once you have the top glued to the dowels, add some fake moss to the bottom. You are done. Yes, really. Was it a lot of work? Sort of... but totally worth it! Stay tuned for my Halloween display reveal in a few days to see a much better picture of this awesome project! And don't forget to enter the giveaway! I don't anticipate a lot of entries since my blog is still growing, so your chance of winning one of the FUNKINS is pretty good! That carousel is so cute. You keep amazing me with the things you're making. No way could I do that. If I won, I would probably put pink glitter on it and a big C for Cate, my granddaughter - or let her do all of it. Very cool! I always think to get these and never get around to it. Love the carousal, the sparkle is great. Thanks for a chance to win, I'm glad I've been a follower of your awesome blog, not even sure how I found you...Inspire Me Friday maybe. 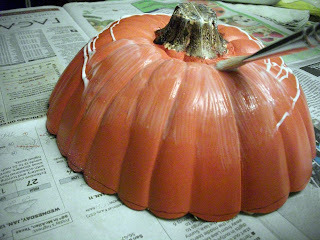 Priscilla, you have a trio of fabulous halloween projects on your blog! Looks like a fun celebration in store at your house. I'd love for you to come and share these goulish beauties at my halloween link party at http://igottacreate.blogspot.com ! wow, this turned out amazing! 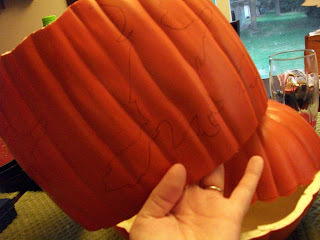 I love that you are doing 31 days of Halloween, I'm doing the same thing over on my blog!! 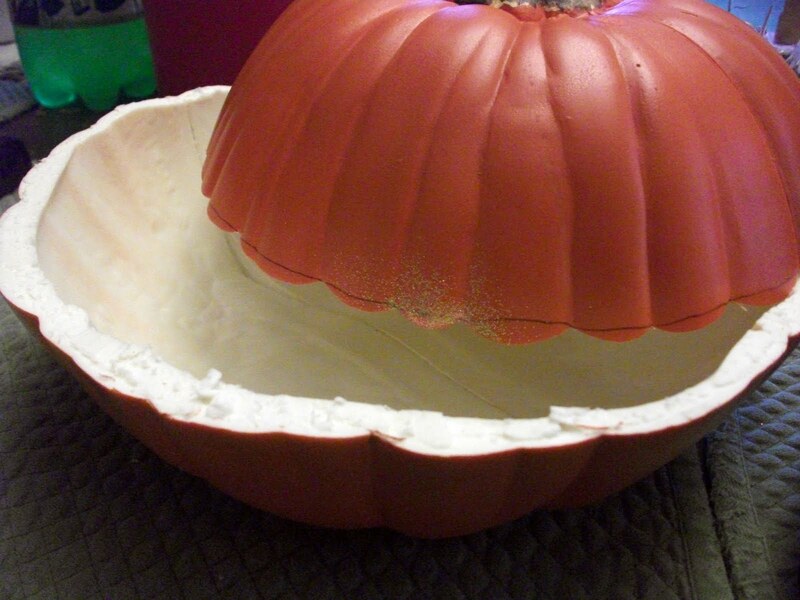 What a cute, creative use of a pumpkin! 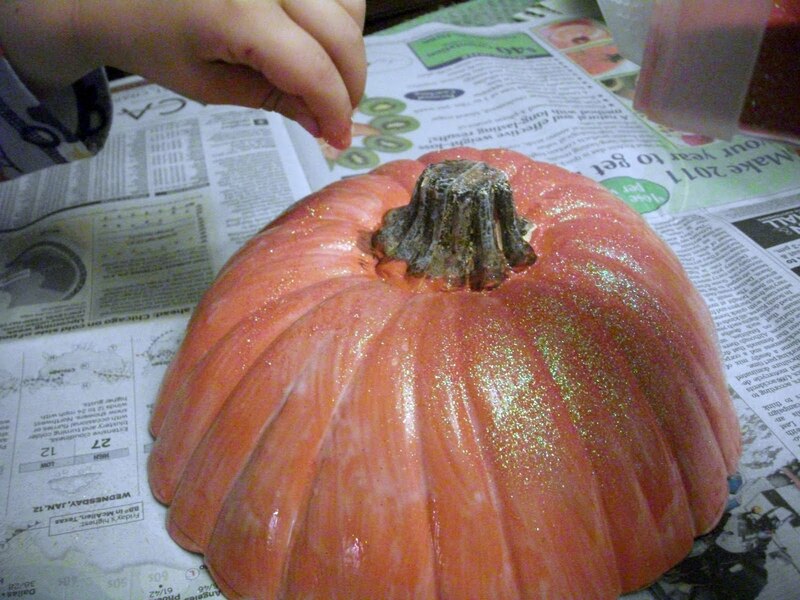 I've never used glitter on a pumpkin before. If I were a US citizen I'd love one, but I'm not. 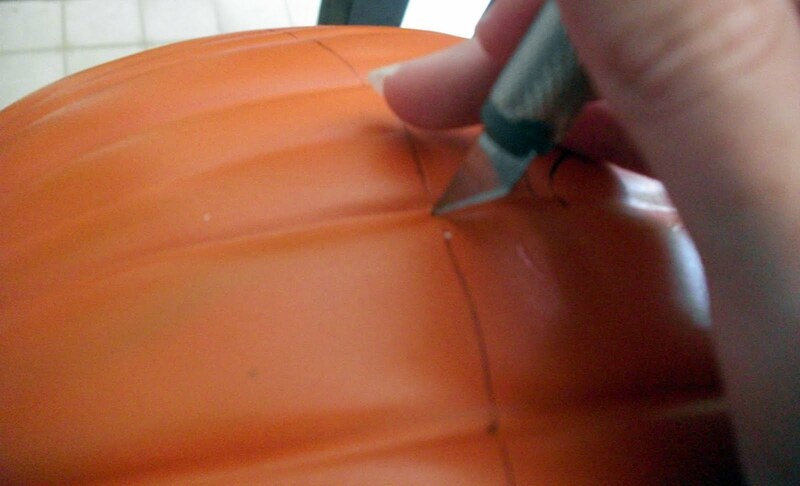 :( I usually carve an unnecessarily difficult design into my pumpkin, which results in some vital piece getting too thin and breaking, ruining the whole thing!! Just when I thought I've seen everything . . . how cute is that! (somehow missed Martha's) Definitely worth all the effort! Dropping by from TDC's Before & After. I'm not sure if my previous comment worked or not, it appears not. 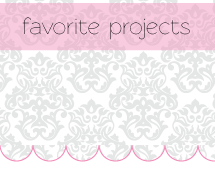 I am now a follower of your blog, thanks for your great ideas! 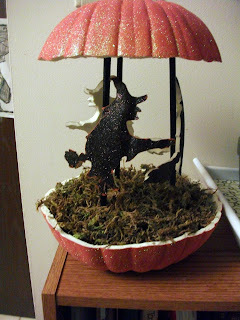 LOVE your 31 days of Halloween projects, this is my favorite holiday.